Funeral services for Wesley “Wes” Evans will be held at 2:30 PM on Saturday, March 30, 2019 at Grace Lutheran Church, Albert Lea. The Rev. Shane Koepke will officiate. Visitation will be from 4 – 7 PM on Friday at Bonnerup Funeral Service, Albert Lea, and again one hour prior to the service at church. Interment will take place in Hillcrest Cemetery. 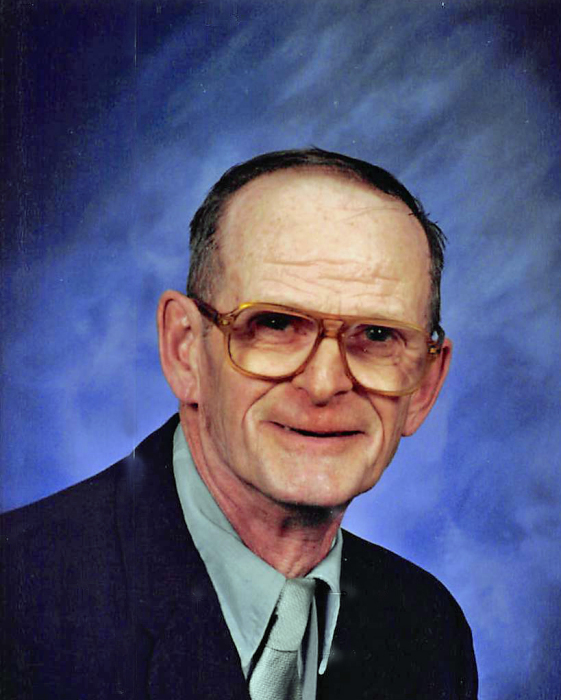 Wesley died on Wednesday, March 27, 2019 at the Good Samaritan Society in Albert Lea. He was 84 years old. Wesley Harold Evans was born on February 17, 1935 to Harold and Elsie (Smith) Evans in Swea City, IA. He grew up in Swea City until the family moved to Albert Lea in 1951. Wes graduated from Albert Lea High School in 1954. Immediately following school, he began working at Wilson’s. He would continue to work there until his retirement 44 years later. Wes served in the United States Army from 1957-1958, spending most of his time in Korea. Following his honorable discharge, he was united in marriage to his high school sweetheart, Beverly (Johnson) on December 7, 1958. Wes could make nearly anything out of wood. He would often make candy dishes, vases, and other memorabilia, which he would donate to area fundraisers. He was also able to use his skills to remodel most of the inside of his home. You could say woodworking was his passion! His other passion was NASCAR – Dale Earnhardt in particular. If there was a race on TV, you would know where to find Wes. NASCAR and woodworking were a big part of his life, but those do not compare for the love he had for his wife, daughters, and grandchildren. They meant the world to him, and he would do anything for his family. He is preceded in death by both parents, Harold and Elsie; sister, Gloria Dunahoo; and brother in-law, Gerald “Jerry” Johnson. Wes is survived by his wife of 60 years, Beverly Evans of Albert Lea; children, Brenda (Quentin) Fisher of Onalaska, WI and Angey (Jeff) Carson of Albert Lea; grandchildren, Amanda (Bryan) Werner, Allison Fisher, Courtney Carson and special friend Paul Haberman, Chelsey Carson, and Cayley Carson; great-grandchildren, Aelyse, Ava, Annyka, Aria, and Jackson; brothers and sister in-law, Gordon Dunahoo, Gordon (Marie) Johnson, and Karen Wolff; as well as many loving relatives and friends.